Throughout our everyday hustle filled with endless to-do lists, it’s often easy to forget that each and every day is truly a gift and there is always something to be thankful for. While Merriam & Webster defines gratitude as “thankfulness”, it really is SO much more than that. Don’t get me wrong, I’m the first person to boast the power that both diet and exercise have to improve our lives and overall well-being, but after a discussion last month with my husband and sister about gratitude I realized practicing it was a big thing missing from my current routine. 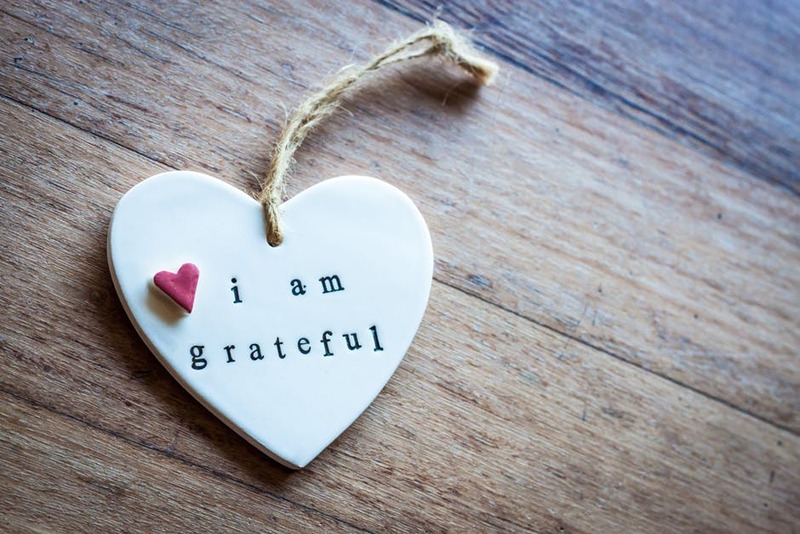 A little background info on what led me to realizing the importance of practicing gratitude… I spent the weekend before New Year’s day with my husband in Boston visiting my sister. As we were discussing our intentions and goals for the year my husband brought up an article he read on gratitude and it’s health benefits. We ended up spending a good amount of time on this topic, which lead us to do some more digging. We found several articles and even studies written about gratitude and it’s relation to wellness (see my last post for my own definition of “wellness”). I quickly ordered ‘The Five Minute Journal’ off Amazon (check the shop page of my website to order one for yourself) after learning the benefits gratitude journaling offers. I’ve been using it religiously since and have already felt the positive change it has had in my life. To sum up all those benefits, if everyone practiced more gratitude the world would be a much better place! Even better than thinking of things you are grateful for is writing these things down and start a gratitude journal. Making a commitment to writing down good things each day makes it more likely that we will keep track of good things as they happen thus being able to focus more on the positives in life as well. Avoid complaining or passing judgment for an entire day. Say thank you more often and BE PRESENT. Interested in working with me for 1:1 nutrition and health coaching? Sign up for your free 15-minute phone call now!